Poaching eggs is one of the easiest and healthiest ways of preparing eggs, as you don’t need butter or oil to cook with. And poached eggs make great additions to everything from salads and steamed vegetables, to breakfast, soups or simply served with toast and a little salt and pepper. Of course there are varying opinions and our methods for how to best poach an egg, I found this WikiHow tutorial to be the most comprehensive and filled with great photos. 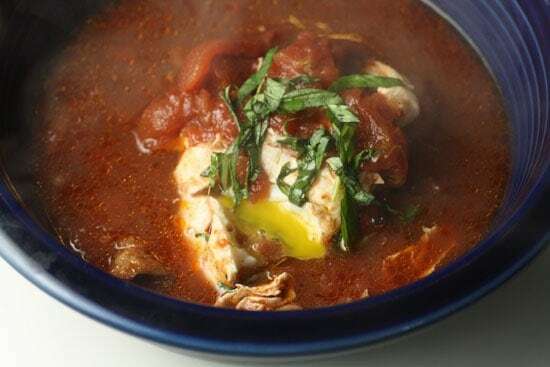 Also consider using milk, broth, tomato juice, wine, or even a pot of simmering soup as an alternative for poaching water, as eggs can absorb the color and flavor from other liquids used. Listed below are several classic recipes that use poached eggs in them, fell free to send us a note if you have any other suggestions.